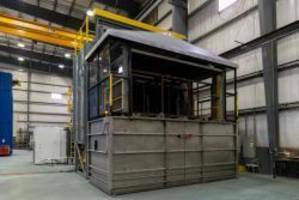 East Troy, WI – Wisconsin Oven Corporation announced the shipment of two (2) electrically heated walk-in batch ovens that will be used for baking tool castings and curing powder coatings. 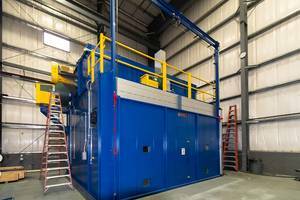 The two (2) powder coating batch ovens were purchased to replace the customer’s older batch ovens that were failing due to age. Due to the limited height of doorways and a freight elevator in the customer’s 150 plus year old mill building, the ovens were built with a horizontal split line. This split line allowed the ovens to be completely manufactured, tested and burnt out prior to shipment at Wisconsin Oven which resulted in a quick install once received at the customer’s site. 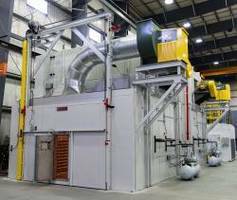 The walk-in curing ovens have a maximum temperature rating of 600°F and work chambers of 4’W x 8’L x 6’6”H. The recirculation systems utilize combination airflow to maximize heating rates and temperature uniformity of the products. 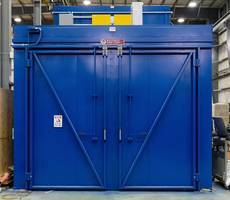 Bi-parting doors on both ends of the ovens allow for easy loading and unloading of parts. 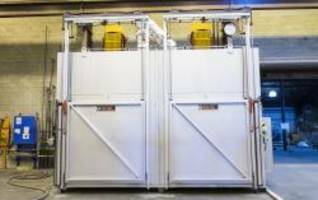 “Some of our customer’s have facilities with height restrictions due to doorways or elevators. By utilizing horizontal split lines we are able to provide the proper size equipment for our customer’s process even if it exceeds the entry height restrictions at their site.” Jim Lucas, Senior Sales Engineer of Wisconsin Oven. 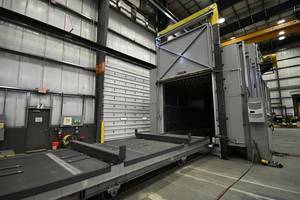 These walk-in batch ovens were fully factory tested and adjusted prior to shipment to help reduce installation and start-up times. A 150 point Quality Assurance check list was completed to ensure the equipment met all Wisconsin Oven quality standards. The industrial batch ovens are backed by Wisconsin Oven’s Exclusive and Unprecedented 5-Year WOW™ warranty. This warranty covers all materials for all components (less wear items).